The duty of fire fighting is to detect, control and suppress fires.. If bushfire fighting cannot do this reliably outside the urban environment, then the bushfire fighting promise has become a community lie and a deadly one at that.. This is a duty, irrespective of who is charged with the responsibility – government professionals, local volunteers, outsourced contractors, whomever? But people in the bush are dying in their homes and in their cars, irreplaceable property has gone forever, and vast valleys and ridges of Australia’s rare ecosystems are being incinerated into extinction. Australia’s post-war Dad’s Army model has long become ineffective. It has become a reckless and incompetent menace luring vulnerable bush communities into a false sense of security and trust, to their death.. It is long time that Australia’s post-1939 Black Friday bushfire fighting mentality, resourcing and infrastructure were challenged by communities! Out of the media frenzy to get ratings out of the Victorian bushfires, a ‘so-called’ bushfire expert on an ABC 730 Report panel (David Packham) advocated a 6 to 7 fold increase in prescribed burning for Victoria. The effectiveness of this strategy is undermined by the live evidence shown (on ABC 730 Report Thursday 12-Feb-09) of local resident Jim Baruta in his home video. Over 200m of clear paddock stood between the bush and his house. This represents hazard reduction to an extreme degree (no trees or undergrowth for 200 m). Yet it was ineffective defence. Only his bunker saved his life. As the ‘heat’ of the tragedy cools down, one of the overlooked impacts that needs to be considered in a balanced way is the impacts of broad scale fire (prescribed, wild, arson or otherwise) is having on the habitat of ground dwelling mammals. In the search for answers to avoid a repetition of the firestorm it is important that natural areas of high conservation value including old growth forests receive due recognition as natural assets worth protecting. Its integrity is not being measured and is probably disappearing through fire at a rate comparable to what logging is causing in SE Asia. That the bush grows back is not an indicator of its biodiversity health. One must recognise that the bush (habitat) is also the innocent victim of these horrific fires. Dense ground cover is a fuel for fire but also home for wildlife. Keep removing the fuel and one removes the wildlife- eventually to its mass extinction. The underlying causes of the fires are the ignition, the lack of non-burnable material to create a buffer between good bush and human settlement, the slow detection of ignitions, the slow response to these while still manageable (remote country or otherwise) and the inadequate resources to suppress many spot fires. As to the ignition cause being arson – Australia needs a serious permanent criminology unit dedicated to this crime. The media and our leaders need to be careful not to incite dormant serial arsonists – just like one read and watched in the days preceding the first arson attack at Delburn on 29 Jan. The media frenzy just fuelled the copy cats’ excitement. Bushfire management is a complex issue, so poorly under resourced, so poorly disconnected from bushfire research, yet so integrated into the lives of so many Australians. The public deserve a say into the Royal Commission. Those who tragically died and lost everything deserve billions not just in recovery but in the whole task of bushfire management. I don’t doubt your commitment to the environment, but you’ve got it exactly backwards. Increased burning is exactly what we need. Not just for human safety, but because the Australian ecology depends on fire at the very least as a means of recycling dead matter (The Australian ecology is different from many others in that our lack of water tends to inhibit microbial decomposition – as a result fire takes on that role). There are many other reasons, as well. The natural adaptation of Australian plants to fire means that fire suppression actually helps drive native species to extinction, as they are out-competed by faster growing, more prolific seed spreading imported weeds. This is often accompanied by native animals being pushed out in the same fashion. But the weeds, by putting their effort into spreading widely, have few resources left to recover from periodic annihilation events (like bushfires), meaning that where the bush burns periodically, native plants and wildlife have a natural advantage. Strange as it may sound, continual fire protects native species. So long as the fires are not the huge events that just happened, of course. Continual small fires (such as aboriginals lit – look up “firestick farming”) has proven to be best. This is not to say that exactly the same areas should be burned each time, of course. Burning native habitat is State-sanctioned arson. If not, then perhaps Matthew in his claims above can offer verifiable ecological authority behind the myths he relies upon to justify why deliberatly setting fire to native habitat is ‘good’ for it? Arsonist profess this, so how do you differentiate yourself? Arsonists feel good about lighting fires. Ambit claims deserve no more than single words rebuffs like: ‘crap’. But politely, I offer a more reasoned response. Many prescribed burns actually get out of control and become the threat to human safety they are trying to avoid. Human safety is about not building in bushfire prone areas and not using materials that burn. Why is this logical solution avoided? If you choose to build in the bush and then burn the bush so that there is no bush around to burn, have you ust defeated your purpose of building in the bush? Bushfires burn down houses mainly fronm ember attack which can travel by winds many kilometres, so to remove the threat of ember attack, how many kilometres circumference of bush do you need to destroy to feel safe – 3km, 10km? You may as well build you house on farm land with no trees, undergrowth or grass in sight. Then you may be safe from ember attack. Think of the St Andrews example during the February Victorian Bushfires. Bushfire fighting is all about rapid detecton, response and suppression of ignitions. Currently most bushfires are detected by thoughtful members of the public calling 000, then volunteers are called in and drive out in fire trucks. What are the performance statistics for say 2008 for all ignitions in Victoria in terms of elapsed time between estimated ignition time and response on site? Hours? Days? Such delays are not good for human safety or habitat. Another ambit claim and so I say, crap. Name your ecological authority? Name species of flora that are threatened with extinction due the lack of fire? Name species of fauna that are fire dependent and relish being burns victims and displaced for years due to habitat destruction by fire? So you are now claiming bushfires are good because weeds grow faster than native plants. How is putting out bushfires logically connected to weeds? I am being really patient now. Some Australian flora have become more fire tolerant that others, but others remain sensitive to fire and vulnerable to fire. This generalist claim disregards the complexity of biodoversity. It’s like claiming the bush growns back and so must be ok. Again, what ecological authority do you base you claim? 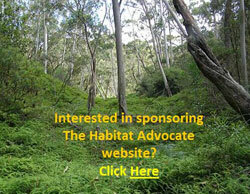 How does putting out bushfires (fire suppression) “drive native species to extinction”? Weeds do not invade undisturbed bush easily – there is too much bush in the way. Heavy rain after burning will leave exposed subsoils and attracted weeds, but bushfire authorities who engage in prescribed burning abrogate themselves of responsibility for follow up weeding – ‘not our problem’ they say. Really strange this one. What ecological source, evidence, location do you have for this claim? Myth 6: Aboriginal firestick farming has proven to be best. Small mosaic occasional fires have prevailed across Australia, but the frequency and scale of that applied since 1788 has been a thousand fold – hardly comparable. Now we have a fraction of the good bush left, so hardly a comparable practice when we only have islands of the original natural landscape left. Referring to Tim Flannery’s book is a start as a source, but what argument are you drawing upon? Name dropping is not supporting evidence. Matthew, here’s some an ecological authority to counter your myth that ‘fire stick farming’ is an age old environmental condition “best” for the Australian bush. One must recognise that the bush (habitat) is also the innocent victim of bushfires, so how can you argue fire is good when the bush burns and by burning is killed, habitat lost and native animals burned alive, displaced because home ranges of native mammals are not transportable? Think of a ‘home range’ like a farm dog chained to a tree – it can’t just walk to the next hill to escape fire. Home ranges are geographically fixed. Fire destroys them and the animals do know to move elsewhere. They may roam to feed but return to their burnt out home after feeding – exposed and so many die. I can cite evidence if you want. Simplistic myths trying to generalise bushfires being good for Australia’s native flora and fauna are overdue their time of reckoning. 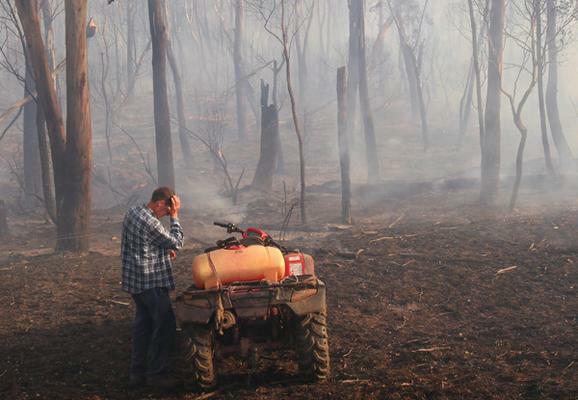 Bushfire authorities simply are flying blind with no ecological idea of what they do. The CFA in Victoria and RFS in NSW have become more adept at letting remote fire burn millions of hectares of native habitat and to lighting prescribed burns systematically every year, to the extent that bushfirefghting has forgotten its core task of bushfire suppression and supplanted it with prescribed burning. This is defeatist. Perhaps the CFA now stands for Country Fire Arsonists and the RFS stands for Rural Fire Starters? Notably not a Australian native zoologist among them. A leading bushfire researcher has questioned calls for more frequent controlled burn-offs, saying they may make our forests more prone to large blazes. The director of the centre for environmental management at the University of Ballarat, Professor Peter Gell, says frequent burning of Victoria’s forests may have resulted in bushfires becoming more frequent and more intense. Professor Gell has uncovered evidence that the incidence of fires increased dramatically with the arrival of Europeans after the 1830s. Contrary to conventional beliefs, he says, the first squatters burnt the land far more regularly than Aborigines ever did. Victoria’s early settlers turned most of the original forests into woodland and most of the woodland into grassland, Professor Gell says. So although the total “fuel load” has decreased, conditions for bushfires within the remaining forests are different now than they were 300 years ago. “If we are facing a new climate and increasingly extreme and catastrophic fire hazards, fuel reduction burning may be doing little to restrict the passage of fires,” he says. Professor Gell says that governments are investing enormous sums of money in trying to maintain biodiversity, soil stabilisation and water quality. But these are all negatively affected by regular burning. “If you burn every year or two, you could be throwing the baby out with the bathwater.” . 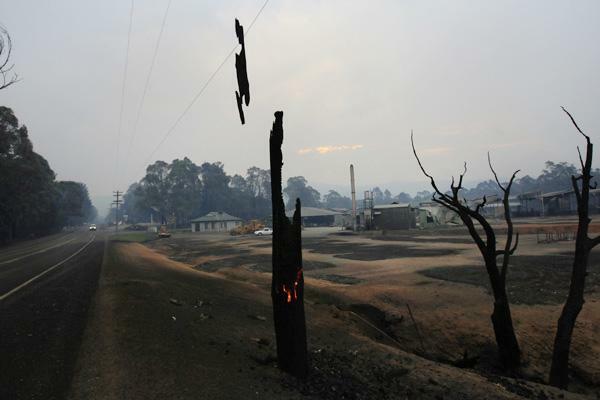 This entry was posted on Monday, July 18th, 2011	and is filed under Threats from Bushfire.